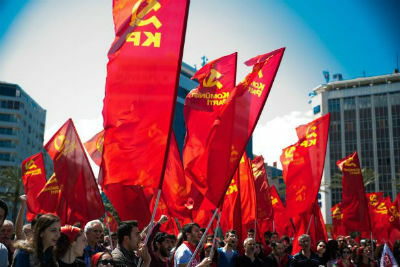 The Communist Party, Turkey (KP) has announced its manifesto and slogan for the immediate elections on November 1st in Turkey. KP has announced its election campaign with the call for "Faith!". The election charter of KP states the main issue of Turkey as the lack of faith in a revolutionary change and its being urgent and possible. KP, states the only solution for the people of Turkey lies with the faith in their own power to change, in reason, in enlightenment, in equality. The election campaign declares imperialism, islamist reactionism and capitalism as the real opponents in Turkey and its neighbouring region. KP calls for the intellectuals, youth and the vanguards of the working class to support and join the struggle of the communists in the elections.